Tom Clancy's Rainbow Six: Lockdown is the next installment in the Rainbow Six series introduces a new single-player experience featuring advanced equipment and new storylines. This time, you can play as either Ding Chavez (the leader of Team Rainbow) or Dieter Weber (a sniper in charge of covering his team's movement). You must lead your counterterrorist unit into unfamiliar territory to battle a bioterrorist threat. Loading screens will appear bright purple rather than displaying character details unless "Store XFB Copies to Texture Only" is disabled. The "Licensed by Nintendo" screen is invisible, unless External Frame Buffer is set to Real. Fixed with Hybrid XFB in 5.0-5874. 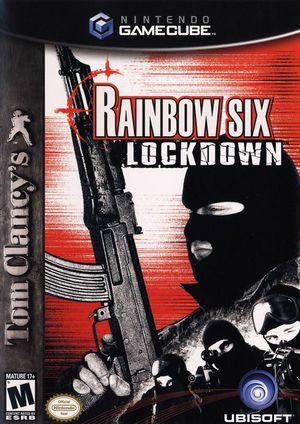 The graph below charts the compatibility with Tom Clancy's Rainbow Six: Lockdown since Dolphin's 2.0 release, listing revisions only where a compatibility change occurred.